This introductory course is for all archers who wish to participate in any JOAD or other archery programs, or those who just wish to learn more about archery and begin practicing shooting with a bow. Our special guests will teach you the basics of tuning your compound or recurve bow. From tying a d-loop for compound to tiller and brace height for recurve. These classes are open to all individuals who wish to participate. Choose your bow type and get registered! In partnership with Mary Free Bed Wheelchair and Adaptive Sports and Kentwood Parks and Recreation, West Michigan Archery Center is excited to offer seasonal clinics for participants with physical and cognitive disabilities. 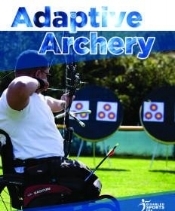 Come out and learn about the inclusive sport of archery. The Easton Sports Development Class is structured for competitive archers to develop skills necessary for strong performance in competitive target archery. This introductory course is for adult archers who wish to learn more about archery and begin practicing shooting with a bow. Archers shoot under the guidance of instructors at the WMAC Facility Indoor Shooting Range over a six week period. This 14 week program is for adult archers who want to be more competitive for the indoor season. This program is for the intermediate archer looking to get to the competitive level. The 14 week curriculum includes practice time with a primary coach, special guest coach lectures, practice evaluation, mental training, and weekly readings with participation in online discussion. This 12 week program is for adult archers who want to be more competitive for the indoor season. This program is for the intermediate archer looking to get to the competitive level. The 9 week curriculum includes practice time with a primary coach, lectures, practice evaluation, mental training, and weekly readings with participation in online discussion. The course will require reading assignments for mental training which will be followed up by weekly interactive online discussion. Each week archers will set individualize goals with one of the head coaches. The Level 1 Archery Instructor Certification Class provides the necessary tools to maintain a high level of safety when running the archery range, for the enjoyment of the sport of archery, for the safety of the participants, spectators and coaches. Archery is a sport that teaches confidence, how to overcome challenges, responsibility, goal setting, and is a place to find lifelong friendships. The coaches at West Michigan Archery Center foster an atmosphere of team camaraderie and good sportsmanship. The WMAC Youth Archery programs are a wonderful opportunity whether an archer just loves to shoot for recreation or is more competitive in nature. 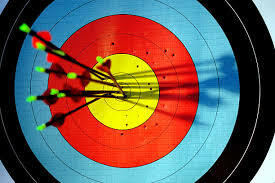 Explore Archery is fun and a perfect fit for archers age 8+ of any ability wanting to get involved in target archery. If you are new or a beginner archer looking for an introductory program, Explore Archery has what you need to get started! Scholastic 3D Archery (S3DA) is an afterschool initiative that can be run by schools, archery shops, and archery clubs. Students do not need any prior experience with archery to join S3DA. Classes are open to students in the 3rd grade through 12th grade. Scholastic 3D Archery (S3DA) is an after school initiative that can be run by schools, archery shops, and archery clubs. Students do not need any prior experience with archery to join S3DA. Classes are open to students in the 3rd grade through 12th grade. Designed by the National Bowhunter Education Foundation, you will earn your bow hunter certification card from the NBEF, explore many aspects of hunting including scouting, shot placement and tracking. Explore Bowhunting is an outdoor conservation education program focusing on interaction of people and wildlife. Explore Bowhunting teaches students how to interact with the natural world by developing basic skills used to bowhunt which focus on getting close to animals. Girl Scouts of the United States of America Badge Description: “Picture this - You nock (or place) an arrow onto a bow, hook your fingers around the string, draw it back, eye your target, and release! Bull's-eye! Archery is an exciting sport that takes strength, focus, good form and practice. Get ready to challenge yourself as you build your archery skills and learn how to shoot on a range.”-Girl Scouts of the United States of America. Are you looking to take your skills to the next level? Want to give archery a try before committing to a class? Maybe a structured class is not a good fit for your special situation. Please contact us to set up a session with one of our USA Archery Level III instructors for a private lesson. Equipment is available to rent for $10 per session.